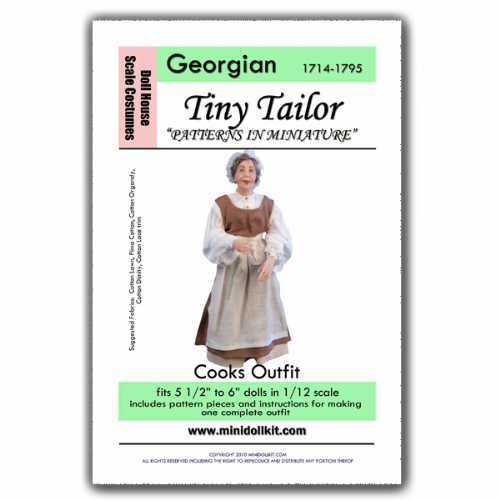 This pattern for a miniature Georgian or Colonial cook's outfit was based on an outfit owned by an historical reenactor. 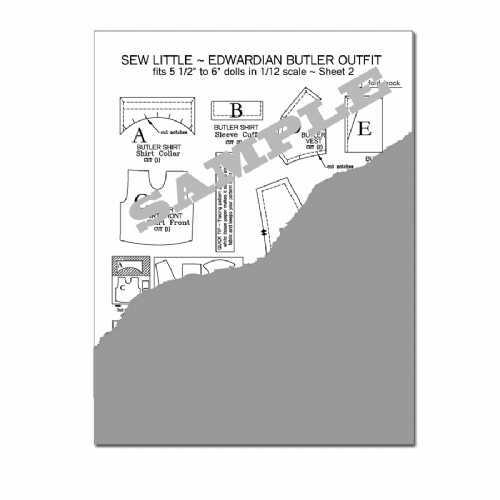 The pattern pieces include bloomers, petticoat, skirt and lining, drop sleeve shirt, tunic, apron and mob cap. 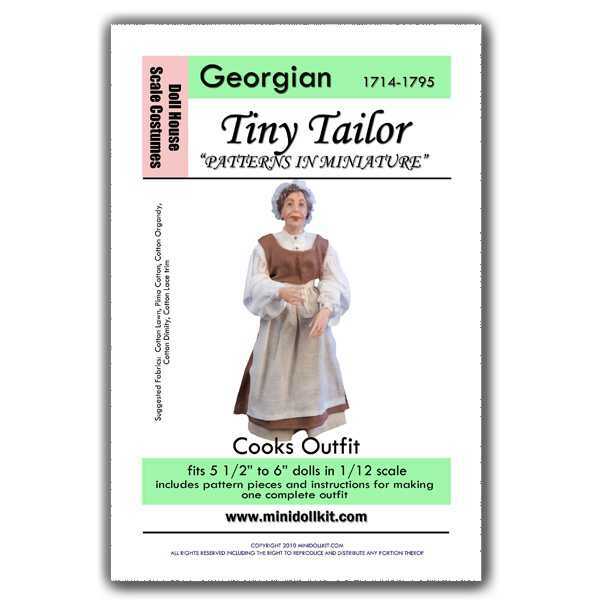 It's a fantastic look for any colonial lady doll.